Secure data recovery is extremely important, especially if you are running a business. You can’t afford to lose any of your data for any reason. Data security is absolutely critical for businesses and even for home computers. Consider what type of data is on your computer. You might have client information, bank account details, personal files, payment information and more. All of this can be difficult to replace and even dangerous if it happens to fall into the wrong hands. Data that is lost because of disasters such as a fire or flood can be crushing, but to lose it to hackers or even to a malware infection can have consequences that are even greater. You can easily backup your windows server. There often is a big problem when you store your data on your server as a backup. 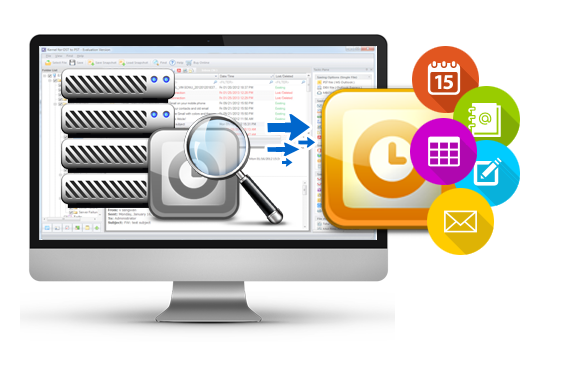 You can face a variety of issues when it comes time to restoring the information and data. That is one reason that you need a professional on call so that you will always be able to recover your data should the occasion arise. Let’s go ahead and get this out of the way right now. At some point in the future, your data will be in danger. It might be due to a virus or a machine error. Maybe a tornado will hit or your building will catch on fire. Something will happen and sooner or later you will find yourself in a position where you will be risking losing your data. For this reason, data recovery needs to be your top priority. 90% of companies that lose data due to a disaster are forced to close within a few years. Companies that do not have a data recovery plan in place when disaster hits have a survival rate of only 10%. After a data recovery event, only about 44% of businesses have been able to recover their data successfully. Of businesses who have lost data and had to get data recovery services, 53% of them never recoup their losses. The truth is, nobody really gets motivated by statistics. Seriously, did you just read that and think, “This could really happen to me”? Hardware and machines fail. Yes, modern IT hardware tends to be more resistant to failing, but most devices will fall short of having a perfect track record. Not any of us are immune to things like internet connection failures or hard disk failures. The thing is, it can be expensive for your business to get rid of any single point of failure when it comes to your IT infrastructure. Making sure that you have a recovery plan in place is the only way to make sure that a failure with your hardware doesn’t lead to a service interruption or loss of data. How many times have you accidently saved over a document or your computer crashed before you got a chance to save that critical file? It happens. Even the most careful of us can forget a single step in a process and end up entering the wrong data or losing data. These mistakes can be ones that are hard to correct, but having a data recovery plan in place can help if it makes a series of incremental data backups as you go. Developing a solid data recovery plan can save your business, your customers, and your money. No business will ever be invulnerable to IT disasters, but you can get speedy recovery because you have a well – crafted plan for disaster recovery. Your customers expect it. Many businesses fail due to them not being prepared for a disaster of this type, even when simply backing up their systems online could have saved them with ease. It is time for you to come up with a disaster recovery plan and to have a data recovery service on speed dial. Your customers and business both demand and deserve it.